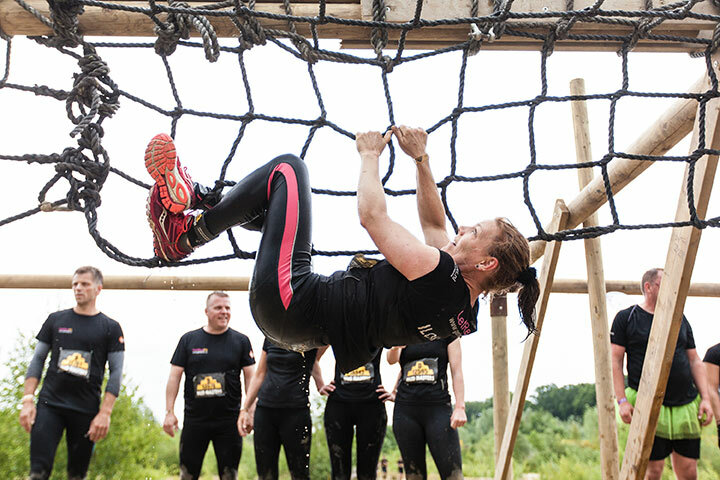 The Net Jump is actually like monkeying around, but then for adults. Because HOW you get to the other side of the net after you’ve jumped in from the water side is not important. It’s about THAT you reach it… without touching the bottom! Because the bottom is no container full of rubber blocks, like earlier in gym class at school. No, here it’s about water. ICE-COLD water! From the water it looked pretty simple, but it was really difficult to estimate how far I had to jump. The first time, I slipped up but the second time around I got it! Wild! 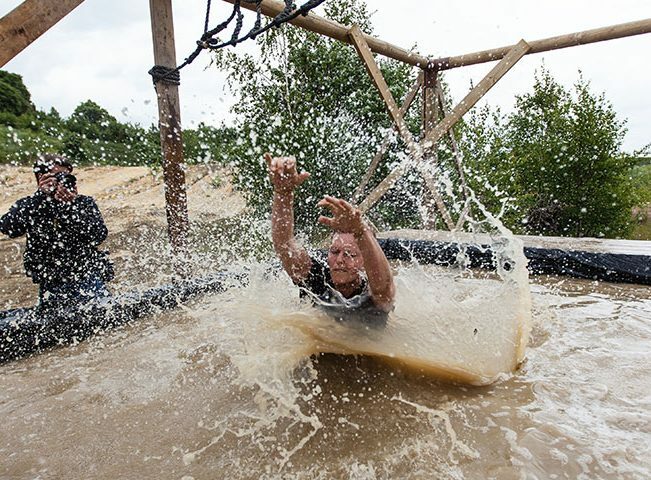 …and score your ticket now for the next Mud Masters challenge! 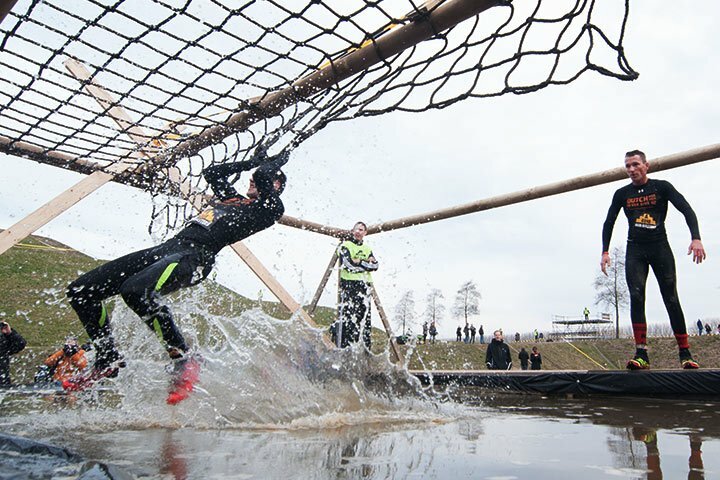 It is a real classic on rope courses at Dutch barracks, this Net Jump. We’ve added the cherry on top by having you climb horizontally over a rope immediately after your jump. What will definitely help you to make it to the other side safe and dry is focus. Focus on the point where you want to clamp on, collect your courage and… JUMP!